Agenda 21: Implementation by Stealth | RANGEfire! How Agenda 21 works. By Michael S. Coffman, Ph.D. Agenda 21 is spreading across America like wildfire. It is deeply entrenched within federal agencies and increasingly, state and local agencies and departments. It uses tax dollars to implement “sustainable” federal programs locally that destroy private proper­ ty rights. 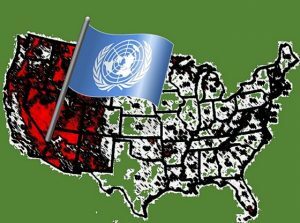 Very few of the elected officials embracing the tenets of Agenda 21 and its U.S. enabling policy, Sustainable America, know they are actually implementing an international agenda. Past articles in RANGE have discussed many aspects of Agenda 21 schemes such as the global warming/green energy and biodi­versity debacles. President Obama is dog­matically and recklessly determined to destroy America’s economy by forcing Amer­icans to use the same failed green-energy policies that are destroying Europe. Similarly, millions of acres are being regulated out of human use to satisfy a pantheistic belief that nature is god and her biodiversity must be protected at all costs. Smart growth/comprehensive planning and watershed management seek to preserve land in a natural or agricultural state by packing people into denser communities. The problem is that smart growth does none of the things it’s alleged to do and it actually accelerates the ills it is supposed to cure. For one thing, land-use zoning has a dev­astating impact on the cost of land. The Har­vard Institute of Economic Research showed that city zoning dramatically increases the cost of land in urban areas using comprehensive planning ordinances. Its study found that in cities employing smart growth and comprehensive planning, real estate costs for a quarter-acre lot skyrocketed by hundreds of thousands of dollars.” In these areas:’ the study claims, “only a small percentage of the value of the lot comes from intrinsically high land price; the rest is due to restrictions on construction. Another in-depth stud y by Randal O’Toole published in “The Planning Penal­ty” found that, in 2005, smart growth and other land-use restrictions cost U.S. home­ buyers at least $275 billion. Almost all the 124 metropolitan areas experiencing afford­ ability problems in that year were directly caused by comprehensive planning and smart growth. Most enlightening, the report found that “more than 30 percent of the total value of homes in this country is attrib­utable to prices inflated by planning-induced housing shortages. “This contributed to the wild increases and speculation in housing prices from 2000 to 2006, which inevitably led to the housing crash between 2007 and 2012,and the financial crash of 2008. These are only two of many studies that have shown smart growth is a fraud and anything but smart. 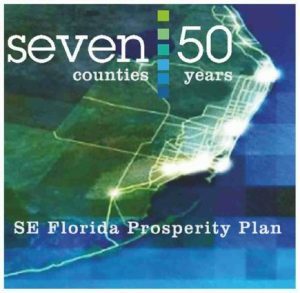 The Seven/50 plan is supposed to be “A blue­ print for ensuring economic prosperity and the best-possible quality of life for southeast Florida:’ It is a 50-year plan for seven coun­ties that gushes with emotion-laden slogans like “leverage resources,” “drive competitive­ness and prosperity,” “greater opportunities,” “sustained job creation,” “open space,” “trans­portation options,” “environment-friendly,” ad nauseam. As with the thousands of other efforts to implement Agenda 2l/Sustainable America across the United States, the process starts with a federal grant or grants. ln this case it was from the federal Sustainable Communi­ties Program of U.S. Hous ing and Urban Development, Environmental Protection Agency, and the U.S. Department of Trans­portation. The $4.25 million grant for the Seven/50 plan sets up a non-elected regional council made up of a federal/state manage­ment team and an executive committee comprising non-elected people from within the community. In other cases across the nation, the council may have one commissioner (or equivalent) from each county or city council. In any event, the council is not accountable to the people who will have to submit to the plans and pay the supporting tax dollars to fund the council’s sustainability plans. A series of workshops are held in differ­ent areas, allegedly to get input from citizens. However, the workshop conclusions are set in advance using the Delphi technique to herd citizens to a predetermined outcome. The first step is to get citizens to form a “vision” of what they would like to have their community look like in 25, 30, or, in this case, 50 years. The attendees of the workshops are split up into breakout groups of citizens, govern­ment (federal and state) officials, and project supporters. Each group goes through a set of pictures—one aesthetically pleasing matched with a drab, uninviting one. The pleasing picture is invariably picked by the group. Of course the only way the regional government could ever hope to accomplish this vision is by controlling everyone’s property rights. Another Agenda 2l /Sustainable America program is the National Blueways System, a part of President Obama’s America’s Great Outdoors initiative. Created by former Secre­tary of Interior Ken Salazar on May 24, 2012, the National Blueways System joins water and land together for protection of entire watersheds covering multiple states. It inte­grates the smart growth/comprehensive planning biodiversity goals of Agenda 2, as well as its freshwater and integrated manage­ment. All wisdom, it seems, flows from Washington, D.C.
President Clinton attempted to implement similar programs in the mid-1990s,includ­ing the American Heritage Rivers Initiative (AHRI) and the Interior Columbia Basin Ecosystem Management Project (ICBEMP). The AHRl’s objectives were environmental protection, economic revitalization, and his­toric and cultural preservation-the same as all Agenda 21/Sustainable America goals, but because of negative citizen feedback, it never got off the ground. ICBEMP was birthed in l993 and coor­dinated by the U.S. Forest Service (FS) and Bureau of Land Management (BLM ). It attempted to swallow up the entire Interior Columbia River Basin and is the biggest effort to date, encompassing 145 million acres that included most of Washington, Oregon and Idaho as well as portions of Montana, Wyoming and Utah. Although people rejected ICBEMP in 1997, the project never died and lived on with insidious malig­nancy like latent cancer cells. It quietly began to metastasize again when the FS, BLM, U.S. Fish & Wildlife Service, the National Marine Fisheries Service, and the EPA quietly signed a Memorandum of Understanding in Janu­ary 2008. The plan was to gradually imple­ment it regardless of citizens’ objections, beginning with federal lands. The ability to control state and local gov­ernments with this feudal like power is exact­ly why the Founding Fathers restricted the federal government to 18 enumerated pow­ers in Article I of the U.S. Constitution­, none of which were remotely related to land-use management. By mid-2013, only two watersheds had been nominated as a blueway. The first is the 4I0-mile Connecticut River Basin that includes 7.2 million acres of Vermont, New Hampshire, Massachusetts and Connecticut. The second is the 722-mile White River Basin that includes 17.8 million acres in southern Missouri and much of Arkansas. As with all Sustainable America programs, they promise prosperity and enhanced livability. Since private property rights are the foundation to wealth creation, increased livability and prosperity cannot happen if property rights are denied. Many more river basins are undergoing, or will undergo, similar National Blueways programs nominations unless this destructive process is stopped. Like the rest of the Agenda 2I/Sustain­ able America ideas, the concept qualifies for motherhood-and-apple-pie status. Yet, like all other federal programs based on Sustain­ able America, it must destroy private property rights to succeed. After all, to be “compre­hensive” the federal government must have the power to force landowners into a very small box of land-use alternatives that pro­tect the watershed and its values for everyone but the landowner. The program allows a nonelected group of stakeholders, made up mostlyof nonelect­ ed bureaucrats and nongovernmental envi­ronmental organizations, to set priorities and policy. Many if not most of these stakehold­ers do not live in the watershed itself, yet claim the right to say what landowners can do with their land. And, as with all regional governance resulting from Sustainable America programs, there may be the token representation of a county commissioner or city councilman to give the appearance of accountability to taxpayers. The National Blueways program has been billed to the public as “voluntary.” How­ever, like so many other things that the feder­al government does not have constitutional authority to do, it entices the states into doing what the federal program dictates by offering huge financial grants. Even conserv­atives cannot refuse huge amounts of money dancing before their eyes. The danger once the program is implemented is that grants for human infrastruc­ture and sustainable programs can be offered to urban areas while grants for, say, highway maintenance and new highways are no longer offered to suburban or rural areas. Only nature-based improvements are fund­ed in these areas. And since human infra­structure improvements must be made to maintain economic prosperity, the theory goes that rural and suburban populations will get discouraged and move into town. On Jun e 26, 20I3, the Arkansas Legislature and state agencies suddenly agreed to with­draw from the National Blueways System. No public hearings had been held prior to or after the designation of the White River Basin National Blueways program on Jan. 6, 2013. 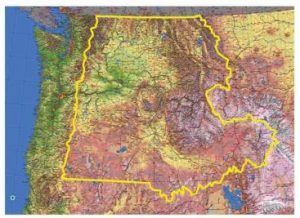 Neither the Arkansas and Missouri state legislatures nor the affected counties were ever in formed of the designation. Con­servativeaction groups found out about it in May. Following a meeting with grass roots on May 30 in St. Louis with this author and Tom DeWeese of the American Policy Cen­ter, a herculean effort was launched to inform all affected counties within the White River Basin. The deadline in which all com­ments on the designation had to be in was thought to be July 5. During the next two weeks, the dangers of the National Bl ueways program were explained to nearly half the county commis­sioners at their normal business meetings. Of this half, almost all counties in both states passed resolutions strongly opposing the designation. The resolutions caused a politi­cal firestorm and Arkansas legislators called for a June 26, 2013, hearing. This author was asked to testify by Secure Arkansas, one of the most active conservative grassroots groups in the state. Unknown at the time, the firestorm led the Arkansas agencies—per­haps on order from Democratic Gov. Mike Beebe–to withdraw from the National Blueways program. The agency heads were first to testify at the hearingon May 26, 2013. One by one each painfully rumounced his/her withdraw­ al and the invo lvedfederal agencies regretful­ ly accepted tbe witbdrawals. The hundred or so grassroots citizens were ecstatic. How is the “BLUEWAYS” endeavor affected by the re-classification of Wet-Lands, swamps, & Rivers ? Is the UN’s “Resillient Cities” Program a part of this Federal Operation ? ALSO: when “hitting” SEE ALL COMMENTS” button, NO COMMENTS appear…. just a “LEAVE A REPLY” site. ?Que Pasa? Carlos, why dont you enlighten us all on the, “BLUEWAYS ? As for Resillient Cities, you mean under the rubric of, “resillient cities”. According to the U.S. organization ICLEI, a UN entity, the objective is of the usual suspects typical rhetoric ie.. B.S. The USA needs to start a Land Lotto, and lotto off several 100 million acres in the Western States. Get these lands the govt does not manage into Private deeded hands and Do Economic Good with the land. I really like the idea of lottoing off govt land say 2x per week. No sense in the govt owning the 1.1 Billion acres they supposedly own now. That is 1/3 of all the land in the USA. The Boston Tea Party was not about tea. It was about taxes and to much govt control of the citizens. The Reason for People to own most All the land is so the People OWN the property thus OWN the basis for Maybe some government , Not the government ” owning ” or subjugating the People. ” our Peace, resulting in Perpetual War. No sense in allowing Israel to extort us for guaranteeimg their Anti-Semitism. No sense in Interpol controlling our Attorney General, nor in the World Bank/IMF controlling our Secretary of the Treasury. Yes, it does make sense for States to control their land, but if you have a mortgage, some(s)one else controls your land: Noteholder, Owner of Mortgage, Holder of Deed of Trust, Beneficiary, One who has Servicing Rights, and any other “PRODUCT” that the Bank has created to control your efforts.